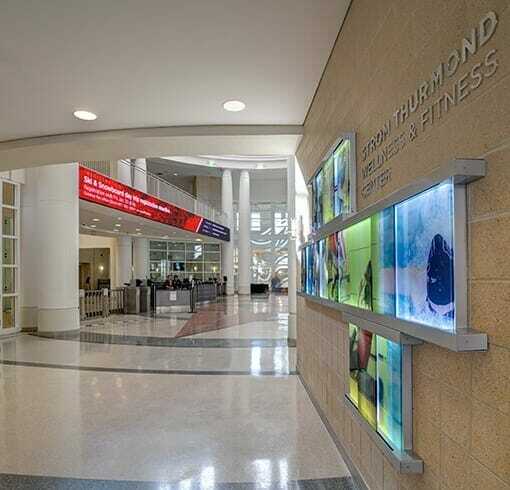 After more than fifteen years since its opening in 2003, the University’s Wellness & Fitness Center desired new graphics to enhance user experience and leverage advances in innovative technology. New ribbon LED displays in the Center’s lobby announce upcoming events, programs, and the myriad activities hosted inside. Endearing verbiage from the University’s alma mater encircle the frieze in the rotunda, a visual reference not only to the University’s historic credo but also to the building’s intrinsic purpose. 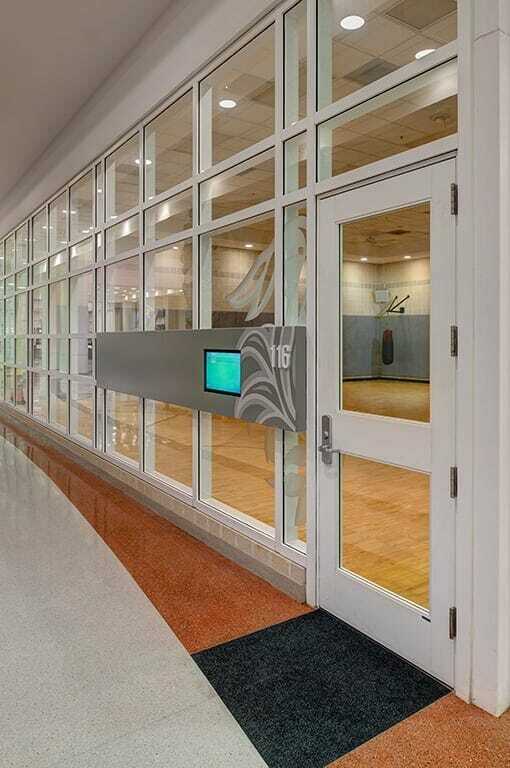 Electronic displays at the entrance of practice rooms, sports courts, and classrooms provide real-time information about space reservations and programming. 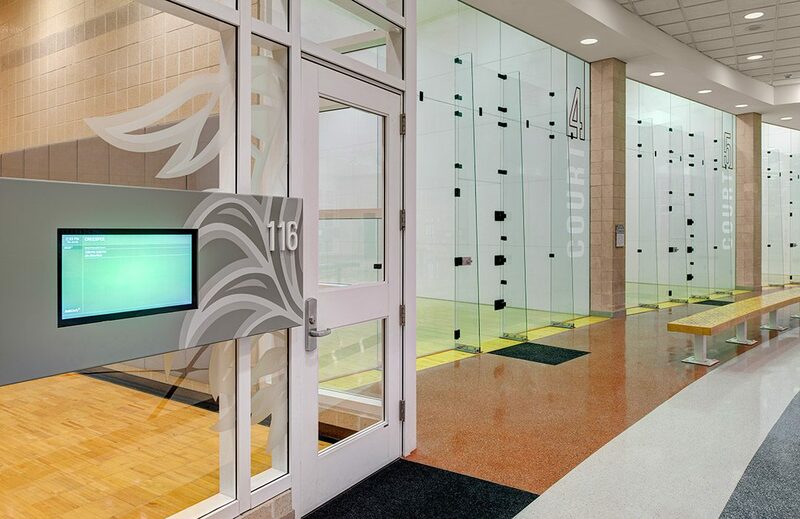 Throughout public concourses, revitalized graphic elements showcase the energy and motion embodied in student athletics, and stylized Gamecock tailfeathers provide stylistic continuity and reference to the University’s beloved mascot. This project was designed in association with sky design.